Wizards vs. Hawks final score: Washington comes back from 17 point deficit to win 71-60. After looking dead in the water, the Wizards come back from 17 points down to beat the Hawks 71-60 Thursday afternoon in the second round of the Las Vegas Summer League Tournament. Kelly Oubre Jr. scored a game-high 22 points while Danuel House added 15 points, 12 of which coming in the fourth quarter. This game was a tale of two halves. The Wizards were sleepwalking through the first quarter as they missed their first six shots of the game. It took them 3:30 for the team to get on the scoreboard. The Wizards were equally as unimpressive to start the second quarter missing 12 of their first 13 shots to start the period as the Hawks opened up on a 15-3 run. Even with the slow starts to the first and second quarters, the Wizards were down just 12 at halftime, 37-25. After trailing by as many as 17 points in the third quarter, the Wizards flipped the switch led by Oubre who scored eight points in the period. The Wizards clawed their way back and trailed by just 3, 48-45 entering the fourth quarter. Danuel House took over in the final quarter, scoring the first eight points of the quarter for the Wizards to help them get in front and pull away. Kelly Oubre hit a three-pointer at the 50 second mark to put the game away and help the Wizards complete the comeback and win 71-60. The Wizards will take on the winner of Thursday night’s Bulls vs. Mavericks game. Danuel House - House was the second-highest scorer on the team with 15 points on 3-8 shooting (12 coming in the fourth quarter). He stepped up when the Wizards needed him most and the rest of the team fed off of his play. He may not claim a roster spot, but House is working his way into an invite to training camp at the very least. 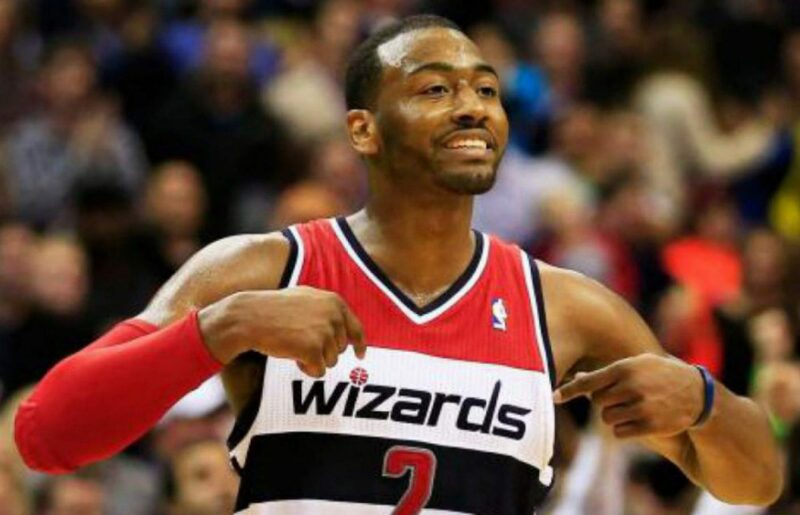 The Second Half – The Wizards outscored the Hawks 46-23 in the second half. Kelly Oubre Jr. - The stat sheet doesn’t tell the whole story. Oubre scored 22 points to go along with six rebounds today. Oubre was 3-6 from three-point range and once again, looked very confident in rising up from distance. However, when the Wizards were in a bit of a scoring drought, Oubre put his head down and tried to force the matter, which didn’t go so well. He turned the ball over four times and got blocked several times at the rim. He salvaged all that with a three-point dagger with just under a minute remaining. Nate Wolters - He seemed to hit floaters in the lane or would knock down jumpers from 10-15 feet out when the Wizards were in a bit of a scoring funk. He didn’t do anything flashy but had key baskets when it looked like the lead might get out of hand. Aaron White - Aside from his dunk late in the fourth quarter, White was a non-factor once again today. He shot just 2-8 from the field and has a knack for disappearing. The First Half – The Wizards had more turnovers (10) than made field goals (7) in the first half on just two assists.